A large number of Millennials have never had a credit card. 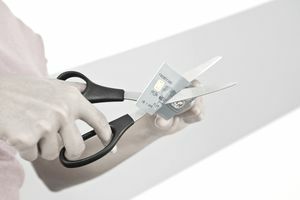 Perhaps their parents served as a cautionary tale or maybe the CARD Act’s rules governing credit cards for young adults, whatever the reason, these young consumers may have avoided credit card debt, but there are other downsides of never having a credit card. To have a credit score, you must have at least one account that’s been open and active for at least six months. Credit cards are often the way people jumpstart their credit history and if you’ve never had a credit card, there’s a chance you may not have a credit score. Fortunately, credit cards aren’t the only way to establish or build a credit history. If you’ve had any type of loan – a student loan or auto loan – then you probably have a credit score. Being an authorized user on someone else’s credit card can also help you establish a credit history without having a credit card on your own. Credit cards offer the most protection against fraudulent transactions; in many cases, you have no liability for fraudulent credit card charges as long as you report the fraud within a certain timeframe. Even so, your maximum liability is $50. On the other hand, you could be liable for up to $250 of fraudulent debit card charges, depending on how late you report the fraud. And if your cash is stolen from your wallet, you may never get any of it back. You typically need to have established a credit history to be approved for a credit card. Unfortunately, if you’ve never had a credit card before, that means you’ll have a difficult time getting your first credit card. There’s good news: if you’ve had other types of credit accounts and you have your own income, you have a better chance at being approved for a credit card. Otherwise, a secured credit card may be the best option for jumpstarting your credit history. Many people swear off credit cards because they carry the potential for debt – which can be avoided if you charge what you can afford and pay your balance in full each month. Credit cards come with lots of benefits that you miss out on by not having one. Fraud protection, credit card rewards, roadside assistance, travel insurance, rental car insurance, extended warranty, and price protection are just a few perks you can get depending on the credit card you choose. Renting a car and booking a hotel, for example, are two transactions that are much easier when you have a credit card. If you don’t have a credit card, you may be asked for additional documentation to prove your identity or have to pay a security deposit to complete the transaction. For many transactions, a debit card is just as good as a credit card. However, even the debit card falls short in some areas like less fraud protection, no rewards, and security deposit for certain transactions.